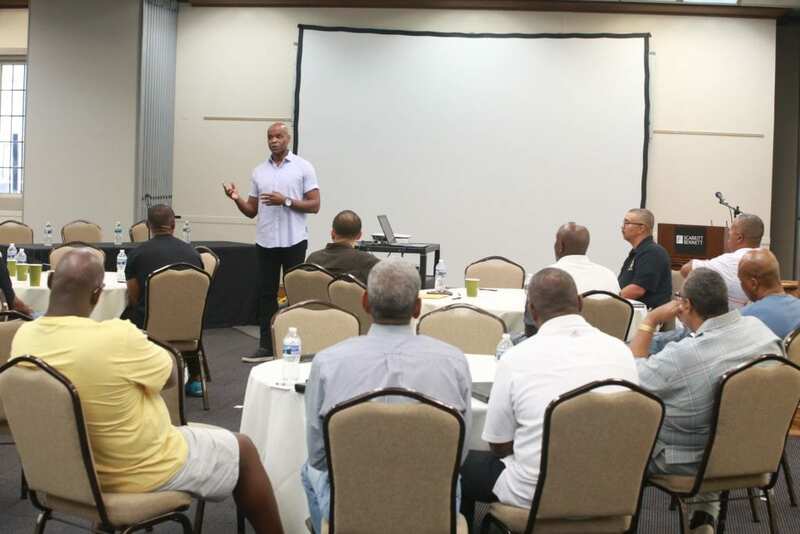 Nashville, TN July 28 – For the second time this summer the Man Up Health Collaborative hosted a Men’s Health symposium. The July event was held on the campus of Scarritt Bennett Center. The Collaborative, driven by the Mt. 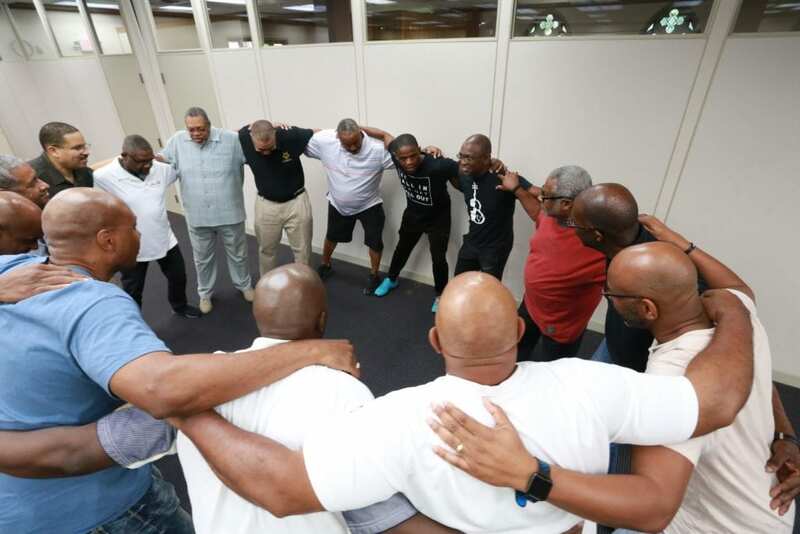 Zion Baptist Church Men’s ministry, seeks to improve the health of men of all age ranges. The Man Up Health kickoff event was held at Mt. Zion’s Antioch location in June. ‘It’s important that men understand that leading a healthy lifestyle enables them to be available to their families and community,” stated Dr. Dedrick Moulton, a pediatrician at Vanderbilt University Medical Center and deacon at Mt. Zion, who serves as a co- chair of the Man Up Health collaborative. 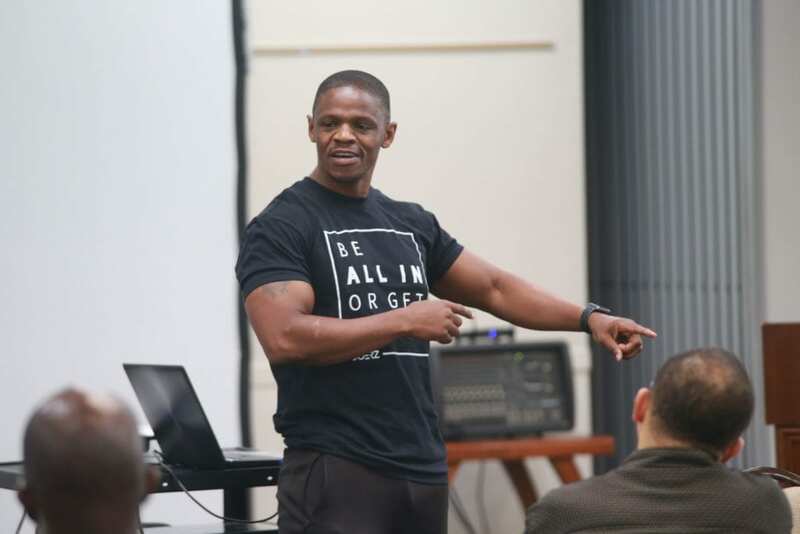 The seminar included sessions related to fitness, sexual health, mental health, and developing a healthy diet. The Saturday workshop started with a warmup fitness session lead by fitness trainer Ambrose Leburu. 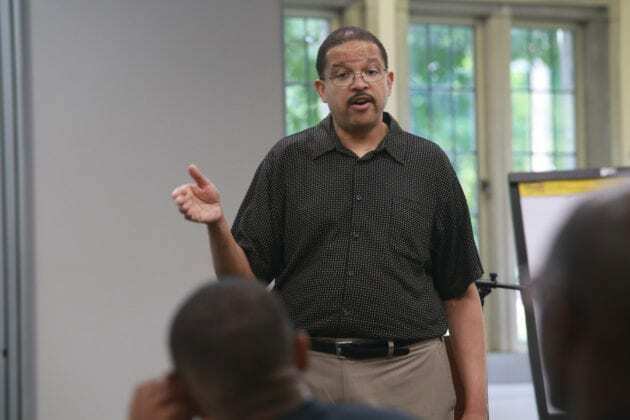 Dr. Jerome Burt lead a session regarding stress and mental health. Dr. Kevin Billips discussed issues around sexual health. After the workshop at Scarritt Bennett the participants spent nearly two hours with a registered dietician at the Green Hills Kroger location walking the store’s aisle. 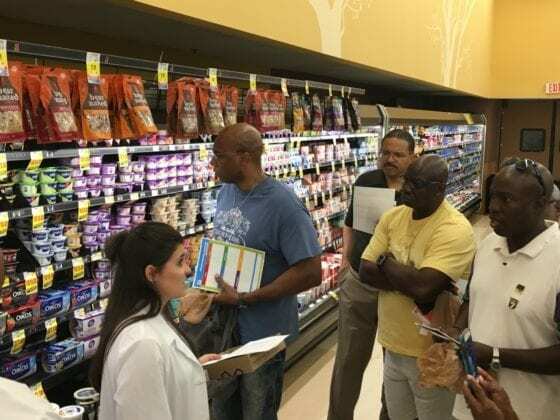 This interaction allowed the men to learn first-hand how to evaluate fruits, dairy, meats, breads, and food other items for proteins, calories, and fat content. The final event of the Summer series is a 5K “Next Man Up” family walk / run event on Saturday morning, September 8th. 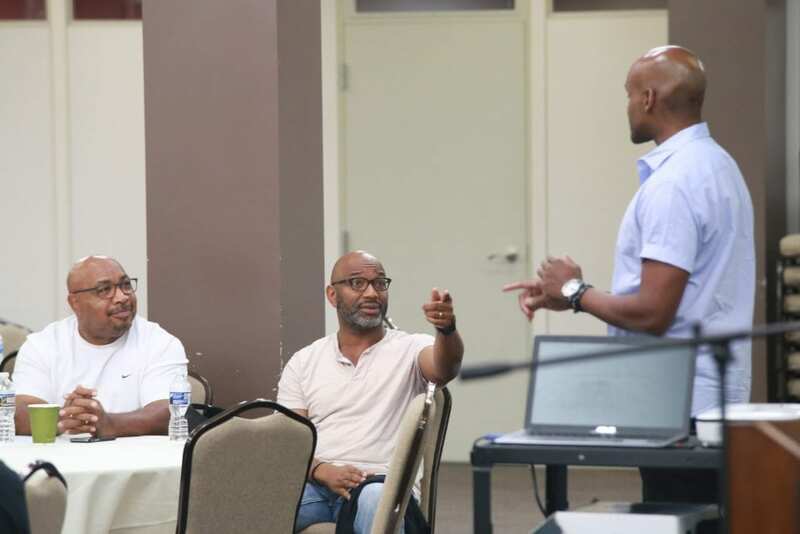 The men’s group is collaborating with Tennessee State University, which will host the walk on its campus. 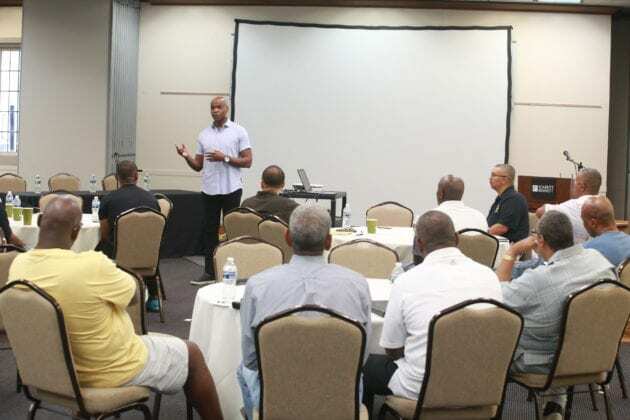 The Man Up program will continue with quarterly educational workshops in the fall.